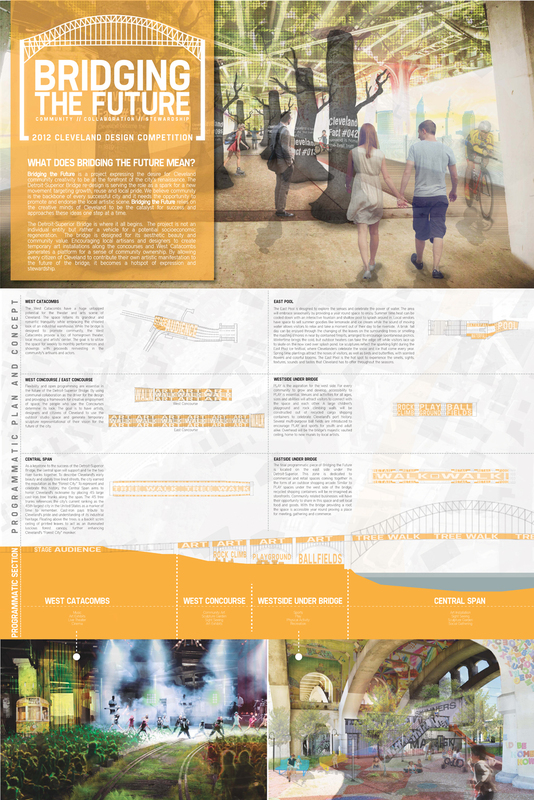 Overview: Bridging the Future is a project expressing the desire for Cleveland community creativity to be at the forefront of the city’s renaissance. 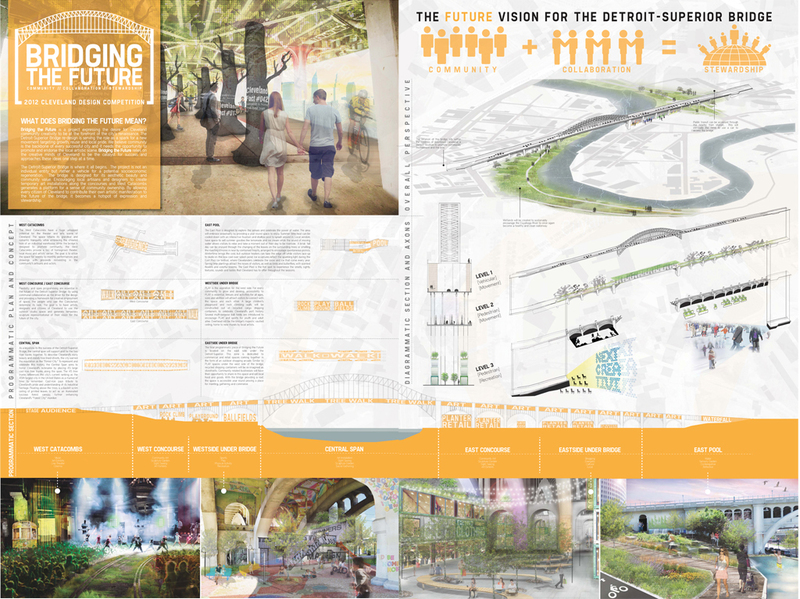 The Detroit-Superior Bridge re-design is serving the role as a spark for a new movement targeting growth, reuse and local pride. We believe community is the backbone of every successful city and it needs the opportunity to promote and endorse the local artistic scene. Bridging the Future relies on the creative minds of Cleveland to be the catalyst for success and approaches these ideas one step at a time. The Detroit-Superior Bridge is where it all begins. The project is not an individual entity but rather a vehicle for a potential socioeconomic regeneration. The bridge is designed for it’s aesthetic beauty and community value. Encouraging local artisans and designers to create temporary art installations along the concourses and West Catacombs generates a platform for a sense of community ownership. 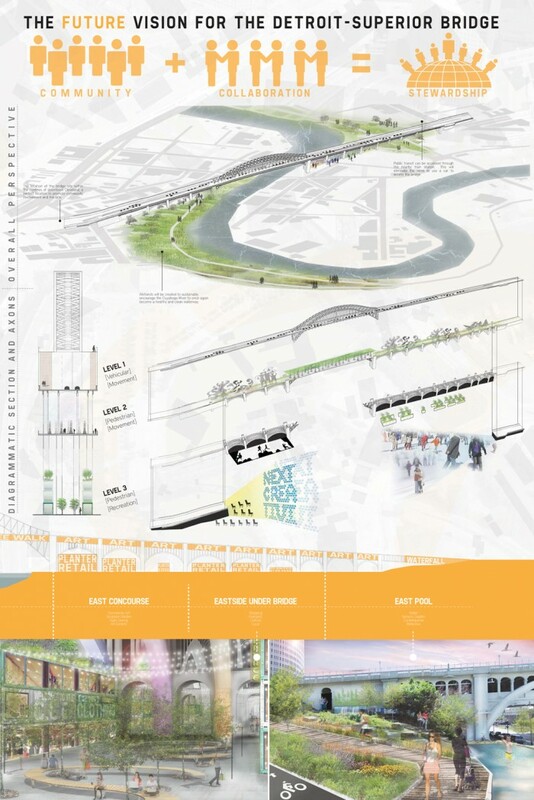 By allowing every citizen of Cleveland to contribute their own artistic manifestation to the future of the bridge, it becomes a hotspot of expression and stewardship.